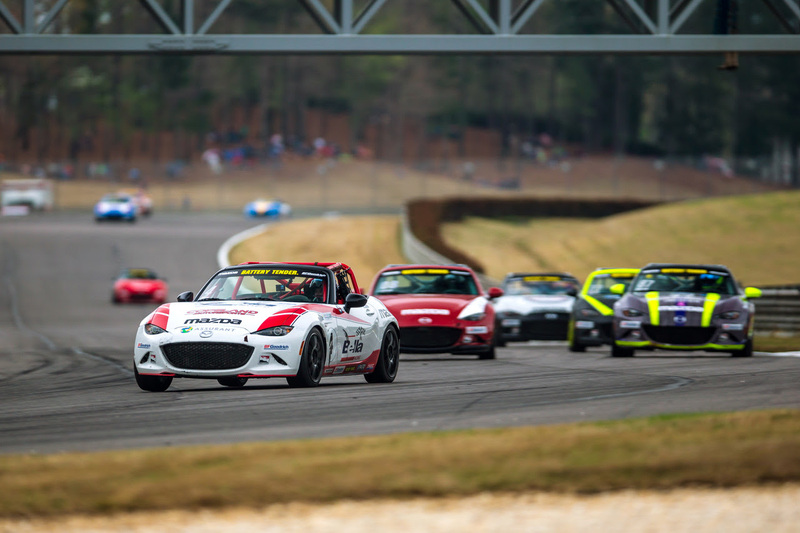 BIRMINGHAM, Ala. (April 6, 2019) - After taking a frustrated second-place finish in Race One at Barber Motorsports Park, Bryan Ortiz relished his run to the top of the Battery Tender® Global Mazda MX-5 Cup presented by BFGoodrich Tires® podium in race two—his first victory of the 2019 season. "I haven’t seen someone win with so many aggressive passes in a really long time,” Kemper said. “I was watching it and thinking that's never going to work! and then they would work. We would have needed another 20 laps before we caught up to Bryan (Ortiz). 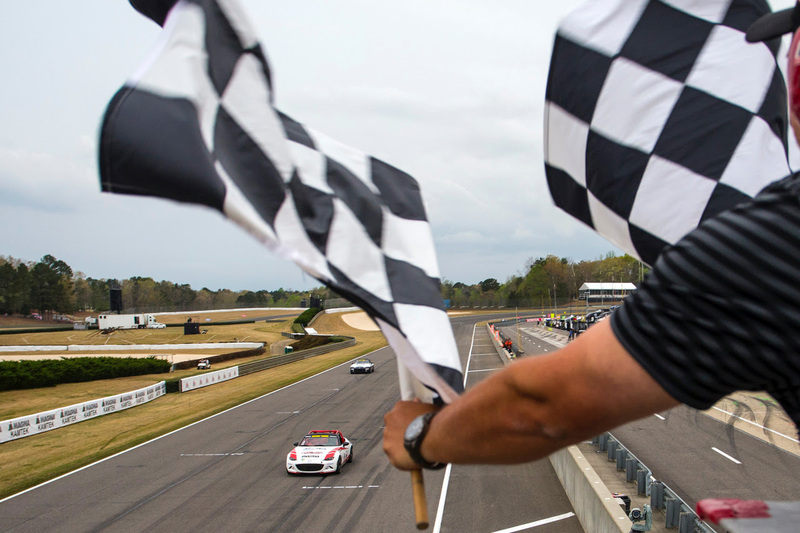 I was having a little bit of heating issues for the entire race and then that accident happened in front of me and I may have been in the right place at the right time but that's racing." "We had a great battle going,” said Dean II. “I felt like we had really good pace. My car was handling really well so I made a try at Sparky (Sparks) pretty early and he shut the door on me, which made me laugh a little bit. I couldn't really tell what happened [between Sparks and Palermo], those guys made a little bit of contact. I was just glad to see that no one took too much damage and no one made it to the wall. They kind of handed it to me at that point and my car was brilliant. I’m so happy to be on the podium again especially at my sponsor’s home race. The sponsors that are on my car this weekend, Harrison Contracting—those are the guys that paint our shop—it's great to do this in front of them. 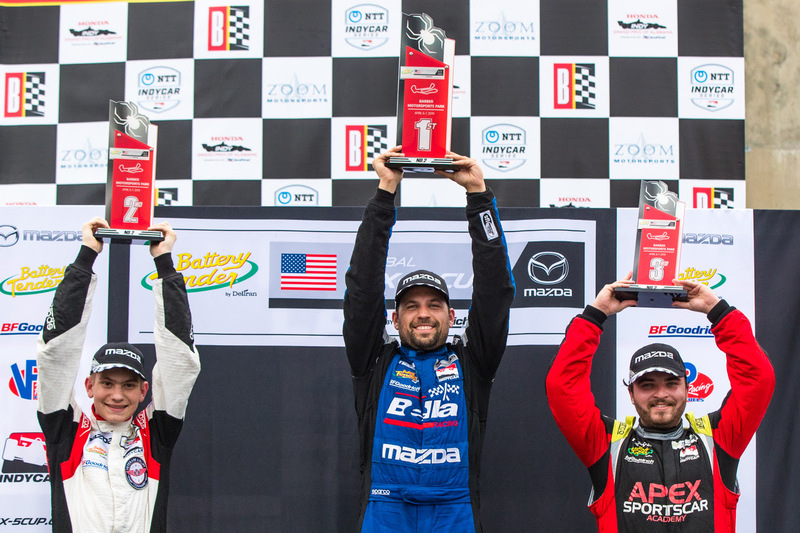 We had a lot of Sick Sideways guys on the podium so I'm a happy team owner."